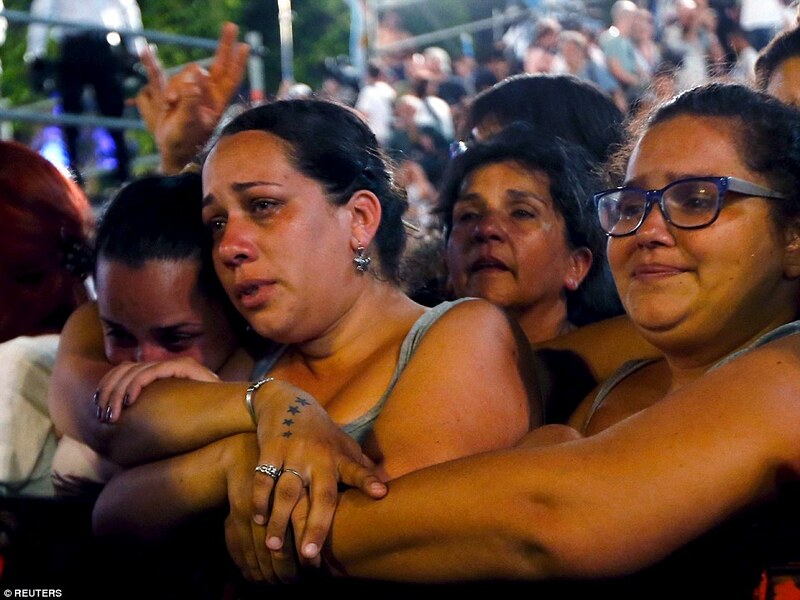 Tens of thousands of supporters wept and cheered after cramming into Argentina's most famous square to bid farewell to President Cristina Fernandez de Kirchner. As blue and white Argentine flags waved on a balmy night, the outgoing leader gave a speech that lauded her achievements throughout her eight years in office while delivering a withering parting shot at her successor. In the latest salvo in their bitter war of words, Kirchner vowed to make life difficult for new President Mauricio Macri, who was inaugurated today. 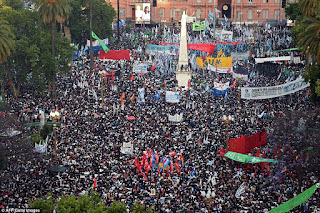 Kirchner addressed the crowd on Plaza de Mayo in downtown Buenos Aires amid widespread criticism for her decision not to attend Macri's inauguration. Macri wanted to receive them at the Casa Rosada presidential offices from Kirchner, while she insisted the handover happen in Congress. Many Argentines viewed the argument as a national embarrassment. Without mentioning him by name, Kirchner framed the tiff as Macri's fault. She also criticised a federal court ruling in a case brought by Macri that determined her presidency ended at midnight, saying it would leave Argentina without a president until Macri's swearing-in. 'I can't talk much because after midnight I'll turn into a pumpkin,' she joked. Macri, who ran on free-market ideas, beat Kirchner's chosen successor by three percentage points in a run-off election last month. The close result underscored the deep polarisation in Argentina and Kirchner has made clear she will continue to be heard, albeit from the sidelines of power. 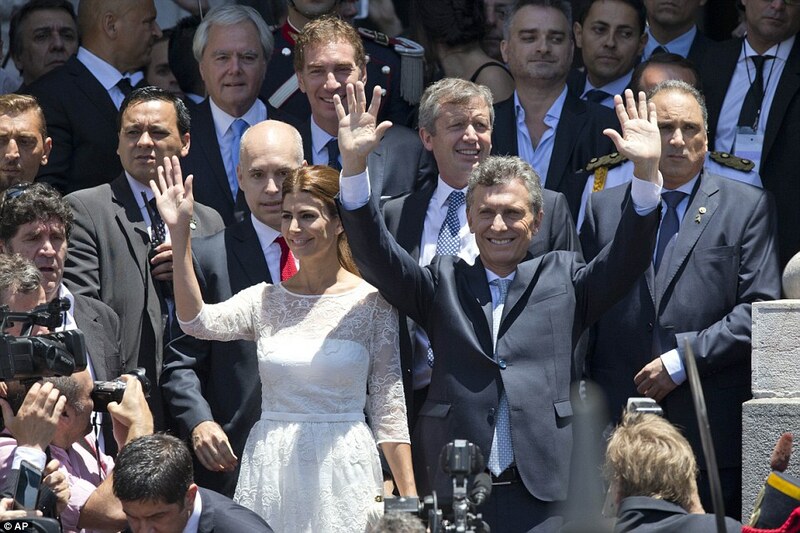 At Macri's inauguration, the oath of office was administered by incoming Senate speaker Federico Pinedo, who had served as provisional president in the interim after the court ruling. 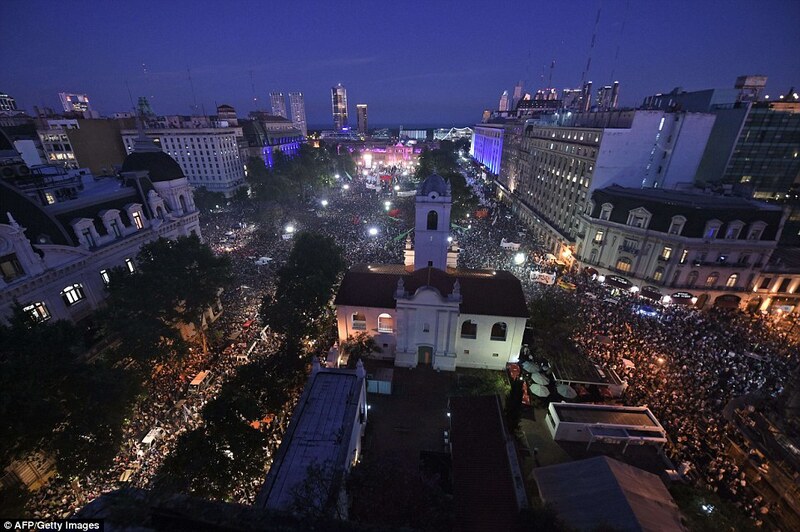 'This government will know how to defend freedom, which is essential for democracy,' Macri vowed in an address that laid out a sweeping agenda for change. He also promised to fight 'untiringly for those who need it most,' a nod to his campaign pledges to keep the Kirchners' popular social programs. The son of a wealthy businessman, he rose to fame as the president of Argentina's most popular football club, Boca Juniors, during a string of trophy wins. He has vowed to reboot Latin America's third-largest economy, which is slumping toward recession, by ending protectionist import restrictions, cutting heavy taxes on agricultural exports and scrapping the official exchange rate puffing up the Argentine peso. In her speech last night, Kirchner talked about 'an agenda from the outside being imposed on the region', apparently referring to the United States and others she sees as enemies of Argentina. During her two terms in power, Kirchner frequently accused other countries of meddling in the South American nation's affairs, though rarely provided details. For 12 years, Kirchner, and before her, late husband and predecessor, Nestor Kirchner, dominated the political landscape. The couple rewrote the country's social contract, spending heavily on social programs for the poor while passing liberalising laws, such as legalising gay marriage in 2010. They also aligned Argentina with socialist leaders like the late Venezuelan President Hugo Chavez and Bolivian President Evo Morales, who attended Kirchner's farewell speech. The 62-year-old, who was barred by the constitution from seeking a third consecutive term, leaves office with approval ratings around 40 per cent and some have speculated she might try to run again in 2019. 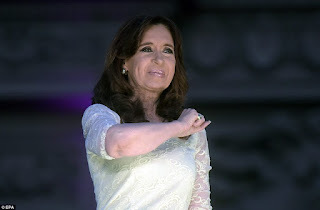 However, just as many Argentines love her, many also loathe her and the fight over the presidential transition brought out the frustration of detractors.